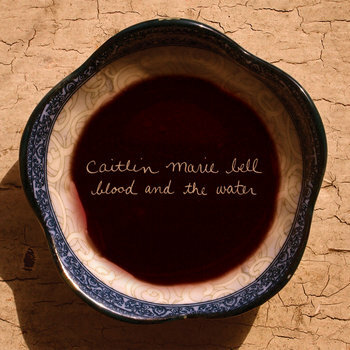 Given the truly hellish week I've had (more on that in a separate, more ambitious post) nothing was more perfect to unwind with than Caitlin Bell's Blood and the Water. Bell's spare, Appalachian songs pack a powerful punch on this debut album. They're truly one-of-a-kind. Bell's just as easily convincing as a bitter winter spirit ("Cold December Night") and a returning lover ("Pallet on the Floor") -- luckily for me, both songs are available to stream from Bandcamp. What I most appreciate about Bell's music is that it has a traditionalist touch but it could appeal to many types of ears. She's choosy about her source material; she's not trying to resurrect any ghosts. And that's what makes Blood in the Water stand firmly on its own.